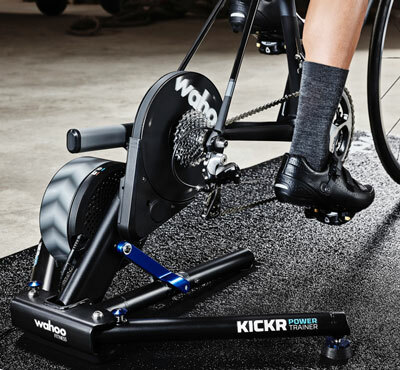 Equipped with redesigned power and resistance algorithm, Wahoo Kickr Power Trainer is the latest smart bike trainer from Wahoo Fitness, giving bikers and athletes the most accurate, quietest and smartest outdoor-feel experience indoor. No matter what workout bikers would experience with Wahoo Kickr – using online platforms such as Trainer Road or Zwift or even while free-riding – they could expect an accurate and reliable power measurement system (-/+2%) from the equipment. There is no reason to worry about the power of the trainer and its limits since it offers over 2,000 watts of impressive durability and resistance, giving excellent indoor training experience. This training machine is so durable that even the most demanding athletes couldn’t abuse it in many years. That’s because of the robust steel construction of the Kickr trainer. The company has managed to decrease the noise (caused by vibration and friction) to just 61decibles through redesigning belt system and gearing. That means, instead of the equipment’s pounding, the biker would hear the pounding of their heart, according to the manufacturer. The same experience would be provided to bikers when using Wahoo Kickr as they feel on their desired outdoor rides. 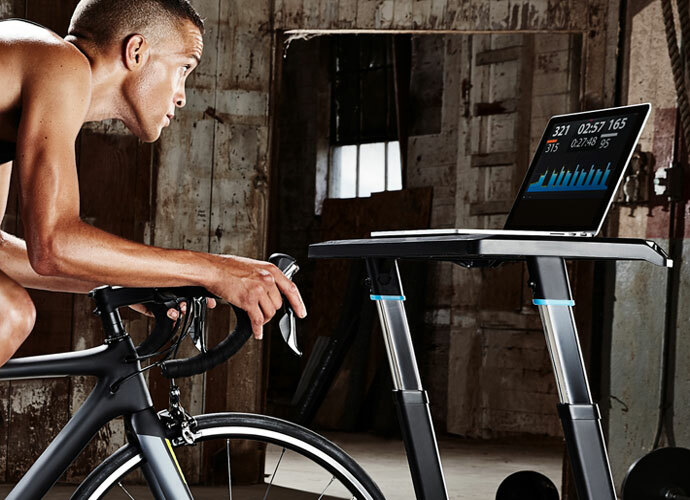 This riding-on-the-road sensation has been replicated better in this indoor trainer because of new algorithms used in this machine’s large flywheel, which have improved responsiveness as well. According to Wahoo, compared to other smart bike trainers in the market, Kickr is the most compatible one with different training apps available. So, a great number of workout possibilities become available when using Kickr with Wahoo Trainer, Trainer Road, Zwift or other third party bike training apps for iPhone and Android. Wahoo Trainer app allow bikers to control and view different options such as RPM, distance, cadence, speed, real time power and resistance adjustments. 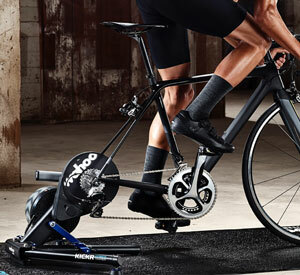 Redefining smart, Kickr Power Trainer is a great indoor trainer with updated features. Unfortunately, there is no sale listing for this great smart trainer on Amazon website at the time being. 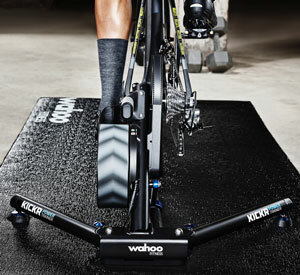 If it was, we could probably expect a great deal and a discounted price for Wahoo Kickr trainer. So, one way to order Wahoo Kickr Power Trainer is go to the official Wahoo Fitness website and follow the “Buy” link for the machine. It is listed for sale for $1,199. Alternatively, cyclist could go to the famous bikes and accessories retailer, Competitive Cyclist, to purchase the indoor trainer. The price would the same as the manufacturer website. And both of above places offer free shipping for this product. In fact, based on what we learned from a search on Google, all places listing the machine for sale has the same price. And for those who want to buy the other great trainer by Wahoo Fitness company, i.e. Kickr Snap, they could have it for $599, much cheaper compared to Kickr.